From left: From left: Brent McDonald, Bradly Kay, Gary Adams. 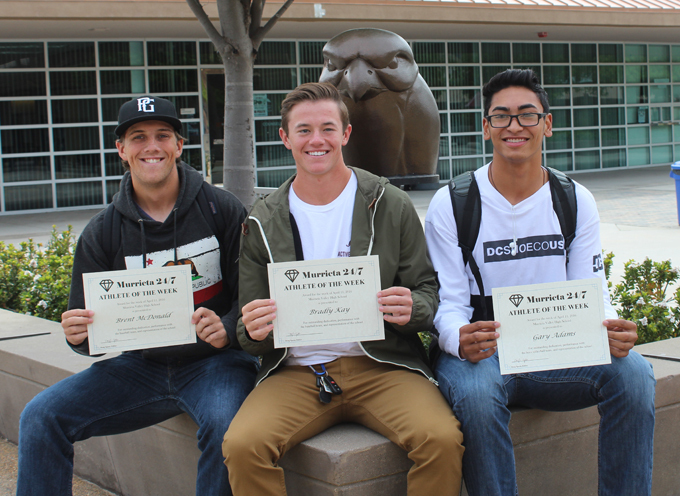 Brent McDonald and Bradly Kay each pitched victories last week for the Nighthawks baseball team against Temecula Valley and Great Oak. Junior Gary Adams has played consistently for the MVHS boys volleyball team. He is committed to Cal State Long Beach.